Not to “drop” names or anything, but Taiwan’s first ever EDM festival, Road to Ultra: Taiwan, this month “produced” some of the biggest names in EDM visiting the island, Armin just saying. City543 caught up with Fedde Le Grand, the Dutch DJ and producer best known for his hit “Put Your Hands Up 4 Detroit” who has consistently ranked amongst the top 100 DJs in the world by DJ Magazine since 2007, after he played a fun and explosive set at the festival, alongside the likes of Armin van Buuren, Afrojack, Alesso, Ansolo and Robin Schulz. Please tell us about your latest single, “Cinematic” featuring Denny White. This really is one of those tracks that I feel will go down as a true favorite of mine. It was a long time in the making, but it was very much a labor of love. Denny White has one of those voices that gives the track so much emotion and energy. I was also very humbled when Ultra asked to use it as their soundtrack to Ultra Japan’s official 2014 Aftermovie. I’m really hoping to make another track with Denny in the future, so keep an eye out for another collaboration soon. What’s a regular work day like for you? I’m in the middle of my Ultra tour, so a lot of ‘work days’ are spent either on a plane, waiting in airports or sleeping before a show. When I’m back home, I spend a lot of time in the studio trying out new ideas and working on my forthcoming album. I also try my best to catch up with family and friends. You’ve been in the scene for quite some time now. What is your secret to staying in the industry? To be honest there isn’t much of secret! I’ve always felt if you want to stay at the top of your game you have to make music and play shows that keep people interested. Music is one of those industries that constantly changes so you need to make sure that you move with the times and don’t get complacent. I’ve always maintained a high work ethic, and that’s allowed me to keep doing what I love. How has the EDM scene changed since you released “Put Your Hands Up 4 Detroit” in 2006? And how has this influenced your own music? EDM wasn’t really a ‘thing’ when I released “Put Your Hands Up”. 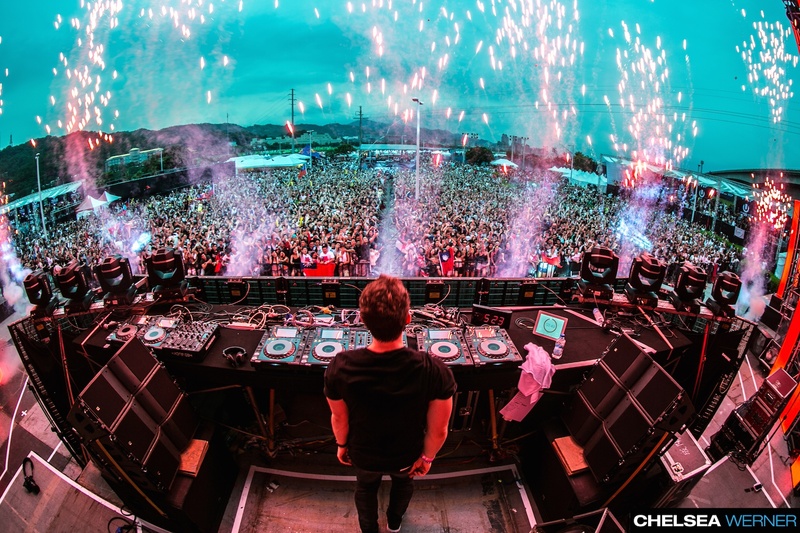 However, it has really turned into the biggest driving force in dance music, which has had both positive and negative effects for the industry, I think. On the one hand, more people are into dance music than ever before, which is great, but also I think there is a saturation of music, which means a lot of the time quality is sacrificed for quantity. I’ve always tried to maintain a high standard with my music and not just flood my fans with tracks. You’ve said that you spend a lot of time thinking about the tracks you’re going to play at events like Ultra. What was your thought process while putting together the set for Road To Ultra: Taiwan? What were you trying to achieve? I never like repeating sets, so I’m always trying out something new at every show. Taiwan I feel is beginning to really fall in love with dance music so I tried to showcase the best of what that scene has to offer. I got a really good vibe from the crowd so I think I did a pretty good job! 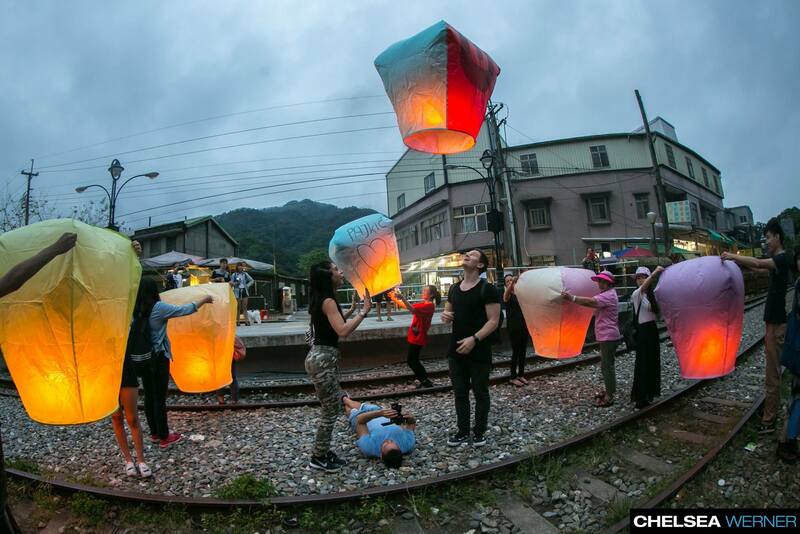 RTU: Taiwan is the first large-scale EDM festival in Taiwan. What were your impressions after playing the show? I think because this was the first festival of its kind everyone really knew it was a special event so were going especially crazy. Let’s hope it’s the first of many! As Taiwan’s still very new to EDM, what would you recommend for EDM fans and DJs in Taiwan who want to grow the scene? 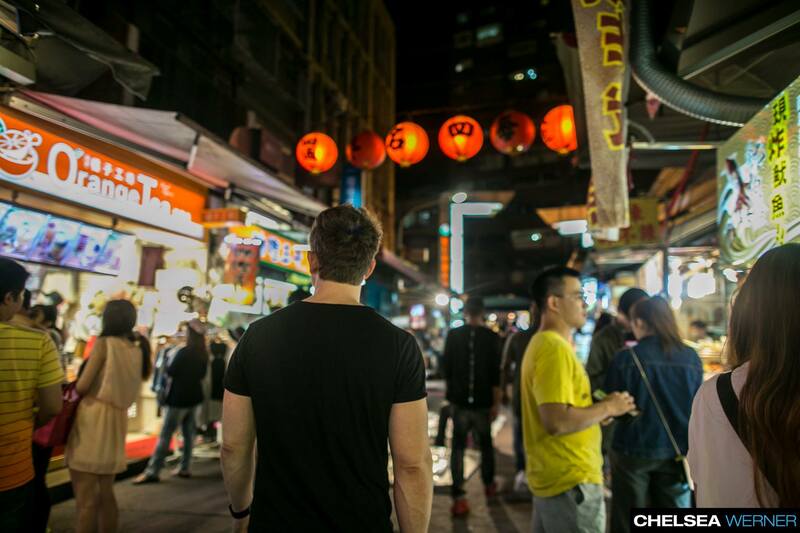 I think there really isn’t a better time for EDM lovers and DJs in Taiwan. The scene is in its infancy, and so there are so many new opportunities for aspiring DJs and producers. I’m sure by next year the festival would have grown, and I can’t wait to come back! You’ve been playing festivals in Asia for some time now. What were your impressions of Taiwan during your trip? What, if anything, makes Taipei stand out? Taipei is such a vibrant city, and the people are so welcoming. Unfortunately I couldn’t stay as long as I would have wished as I had to hop on a flight to Bali, but rest assured I’ll be back soon! Taiwan’s famous for its food. What did they feed you while you were here? All the food was amazing! 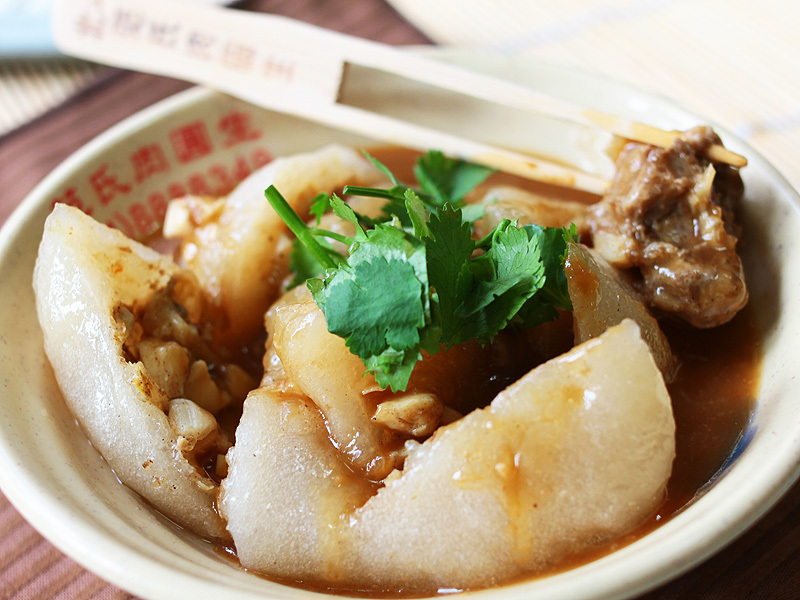 I tried this thing called the Changhua Bawan (彰化肉圓), which are a kind of large dumpling made from a dough and stuffed with pork and vegetables. They were delicious. Where did you go to party after your set was over? I know this sounds a bit boring but I was so exhausted I just headed back to my hotel! Your name’s a bit difficult for Taiwanese people to pronounce. What’s the most unusual pronunciation you heard while you were here? (Laughs) There were some odd variations that were pretty funny, but even people in the west struggle to pronounce my name sometimes so I wasn’t offended at all! So what’s next for you? Can we expect your new album soon? Once my Ultra World tour is done, I’m heading back to Holland to get back into the studio to polish off my album — not long now! Are there any artists, particularly in Asia, who you would like to work with next? I haven’t really thought about who I’d like to work with next — I’ve been so busy touring. But if there are any Taiwanese producers out there who think I’d like their stuff, send it over! What advice do you have for young and aspiring DJs? I’ve always said that if you want to be a successful DJ then you’ve got to be prepared to work incredibly hard and also to fail a lot. The key is to try get your sound out there as much as possible, and nowadays that’s pretty easy to do with things like Soundcloud and YouTube. Master your craft and when you think you’re ready, approach a label, and if you’re good enough, everything should fall into place from there. Do you have any recommendations for people visiting your hometown? If I can give any tips when it comes to my home country, then it would be to make sure you don’t just stay in Amsterdam. Amsterdam is really, really great as it’s got so much cultural diversity; there are amazing places to eat. But Holland isn’t just about Amsterdam, in fact, most of the DJs – amongst others, Tiësto and Hardwell – actually stem from the south such from Breda, the city where my studio is located. So when you visit Holland, make a cultural DJ trip and visit the south as well. “Cinematic” is available on Spotify, iTunes and Beatpro. 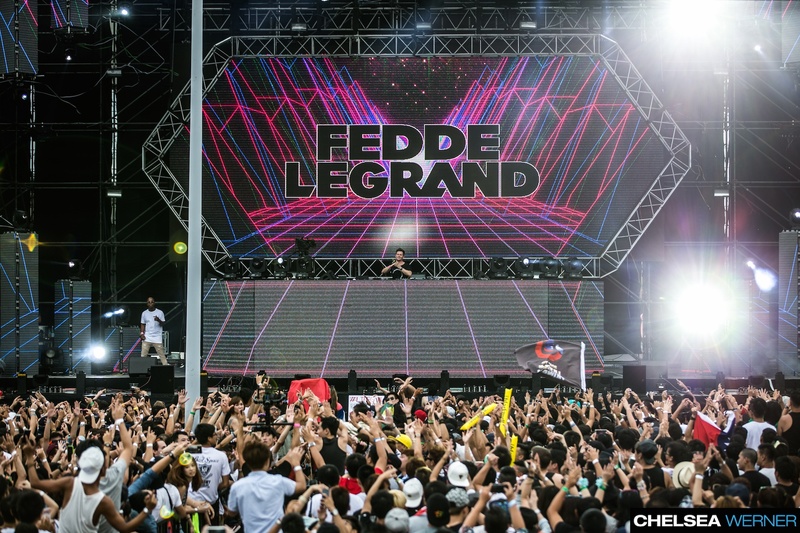 Like Fedde Le Grand on Facebook and follow him on Twitter. Translated to Chinese by Teresa Lee; with contributions from Kevin Chen.